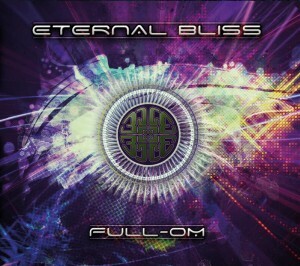 Full-OM is an intriguing new album by Eternal Bliss, a veteran psytrance act with releases going all the way back to 1995. Originally released in the summer of 2011 by Hyperdisc, this album combines the old school Goa trance spirit with today’s production techniques and live guitar. The mastermind behind Eternal Bliss is PJ Wassermann, a Swiss composer, performer, and producer, who collaborated with his son Sean to create this unique release. Sean laid the foundation and PJ polished the album through live performance and experimentation. The final mixes integrate recordings from various Eternal Bliss live gigs as well as additional studio sessions. Featuring artwork by Psyborg. MP3 Download | FLAC Download | WAV Download · Download count: 15,431. That what i missed so much. Thanx!!!!! oooooooooooh exquisit & wonderful…………nice =) om ektoplazma namaha! Excellent psy-work, but …sounds so goa-brilliant. like this album, thanx for lossless! Absolutey amazing……………. made my week/month….